The Wilderness Expedition Catalog was a one item catalog for members during the Wilderness Expedition. 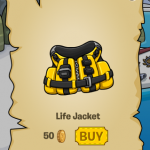 You needed to purchase the Life Jacket in order to sail on the boat. 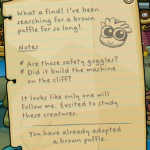 There was also a small note where you could adopt a Brown Catalog.